Barry Feinstein (February 4, 1931 – October 20, 2011) was an American photographer who was reputed to have produced over 500 album covers. In 1955 Feinstein was engaged as an assistant photographer at Life magazine. He subsequently became a sought-after photographer in Hollywood, where he worked with Marlene Dietrich, Judy Garland, Charlton Heston, Jayne Mansfield, and Steve McQueen. His photos of celebrities, as well such politicians as John F. Kennedy and Richard Nixon, appeared in national publications, including Time, Esquire, and Newsweek. 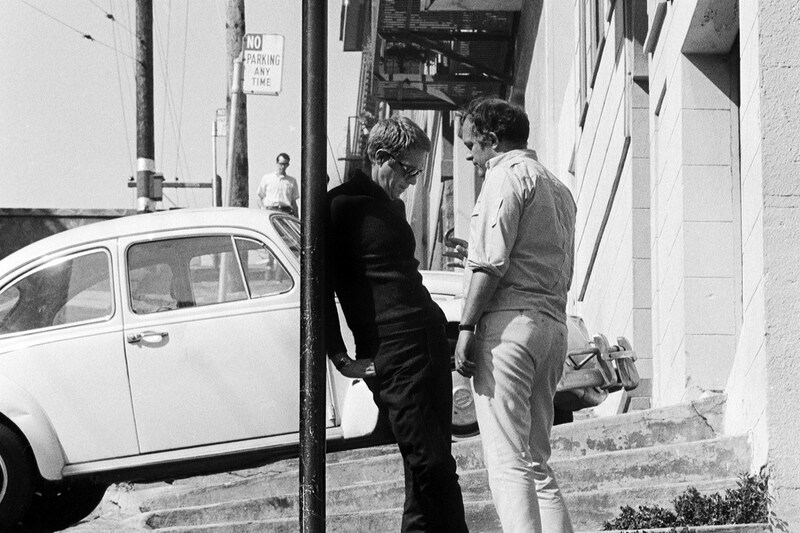 In the 1960s Feinstein became known for his photographs of the music scene. He accompanied Bob Dylan on his 1966 tour of England, and shot the cover photos of numerous albums by Janis Joplin, George Harrison, the Rolling Stones, and others. From 1963 to 1967 he was married to Mary Travers, the singer-songwriter and member of the folk music group Peter, Paul and Mary, with whom he had a daughter, Alicia. In 1974 he again toured with Dylan, this time with The Band, around the United States. An accident in 1993 affected Feinstein’s ability to operate cameras. In 2008 he published two books; the first included 23 of his early Hollywood photos together with Dylan poems written in 1964; and the second, a collection of photos from the Dylan concert tours. 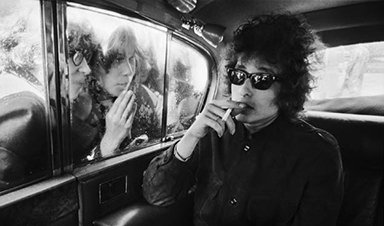 His photographs from the 1966 Dylan tour were exhibited in the National Portrait Gallery in London in 2009.